Own the land of your dreams. FICOBank is ready to provide assistance in meeting your goals through its Land Financing, a financial solution for the purchase of land—agricultural, commercial and/or residential. 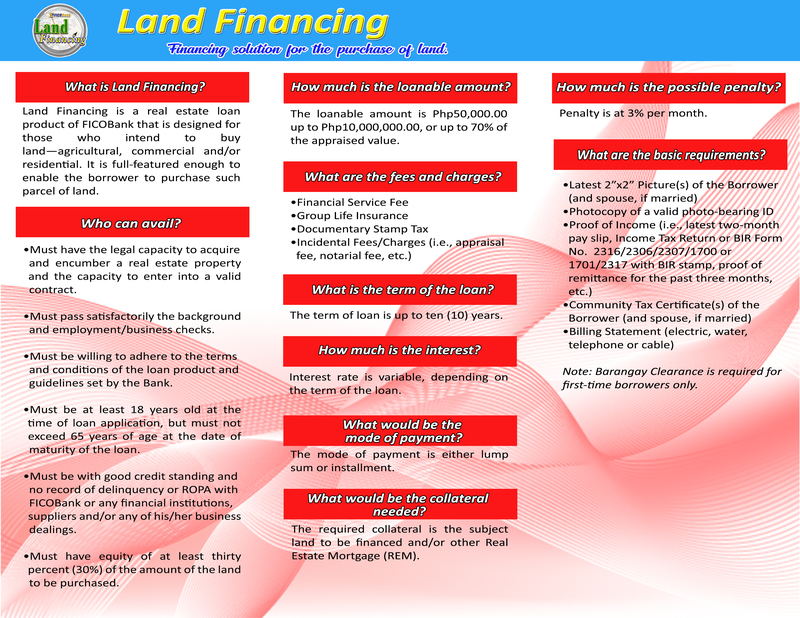 Avail of our Land Financing and own a land now!